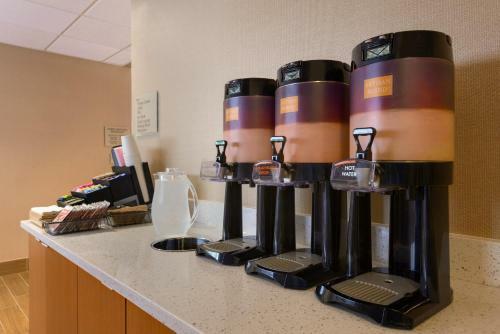 The Embassy Suites Hotel Little Rock is among the city's most popular thanks to spacious accommodations that include appliances among its homelike comforts. That's because your money goes a long way at the Embassy. The 251-room nine-story hotel offers guests the luxurious space of suite living. 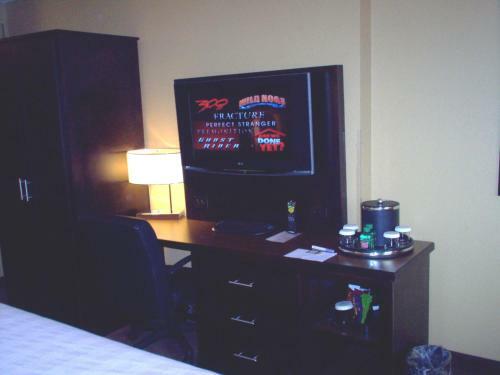 All rooms are two-room suites with an attractively furnished living area separate from the bedroom with flat-panel TVs in each. The living area equipped with a wet bar that houses a mini-fridge and a microwave also includes a sofa bed and a work table. Wi-Fi is available for an additional fee. The hotel has a restaurant and lounge in the atrium-style lobby and the hotel offers a hot free breakfast each morning. When the 5 o'clock whistle blows guests are invited to a nightly manager's reception with complimentary drinks and light snacks. 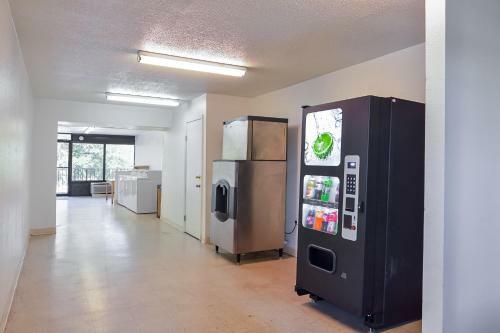 Additional guest amenities include a heated indoor pool with hot tub an exercise room a coin laundry and a business center. Covered parking is available for a fee and pets are permitted also for an additional charge. 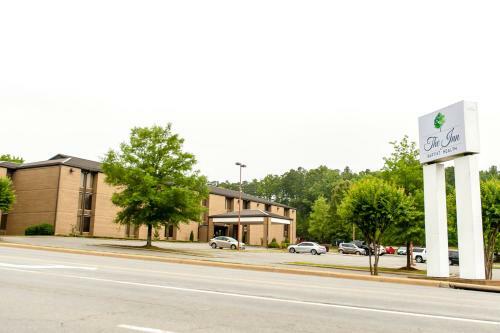 The Embassy Suites is four miles from the Big Dam Bridge and five miles to Wild River Country Water Park and the Little Rock Zoo. It's nine miles to the Museum of Discovery and the Clinton Presidential Library. Little Rock National Airport is 15 miles from the hotel.